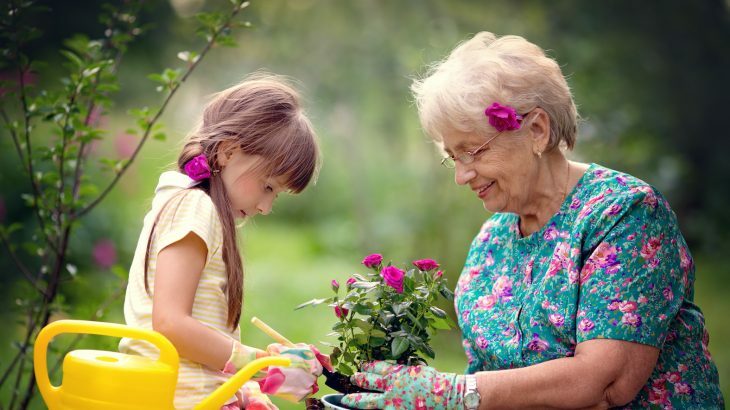 Researchers at Finland’s University of Turku have found that grandchildren’s survival is greatly increased by a grandmother’s involvement in their childhood — but only if grandmothers are healthy. Doctoral Candidate Simon Chapman, Postdoctoral Researchers Jenni Pettay and Mirkka Lahdenperä, and Academy of Finland Professor Virpi Lummaa from Turku’s Department of Biology used historic Finnish parish records to investigate the “Grandmother Hypothesis,” which proposes that the long post-reproductive lifespan in human women has evolved so grandmothers can provide help to their grandchildren. Human women’s ability to survive for so long after menopause separates us from other primates, and yet we still don’t know much about the limits to extended longevity throughout our evolutionary past. However, this study — the first of its kind and published in Current Biology — wanted to explore if grandmothering children had something to do with human women’s extended post-reproductive life. The team investigated how the presence of grandmothers at different ages and of different health statuses affected the lives of their grandchildren born between 1731 and 1890, a period in history where child mortality rates were at a high. They found that the presence of maternal grandmothers increased the survival of toddlers (aged 2 to 5) by almost 30%, thus proving that women’s prolonged longevity can be favored by natural selection. However, children living with a paternal grandmother over the age of 75 had a 37% lower probability of surviving to their second birthday. The study’s findings show that post-reproductive lifespan could have evolved due to the benefits of having a maternal grandmother in the house. However, dwindling health (without appropriate medicine) limits the effects of even longer lifespans. “In that context, our finding that grandmothers in poor health were associated with higher infant mortality in the same household stresses the importance of healthy ageing and discovering ways to prolong healthy lifespan alongside the increasing total lifespan in the modern world,” Chapman explained.